This digital multimeter has the compact design and the functions you need for overall convenience. 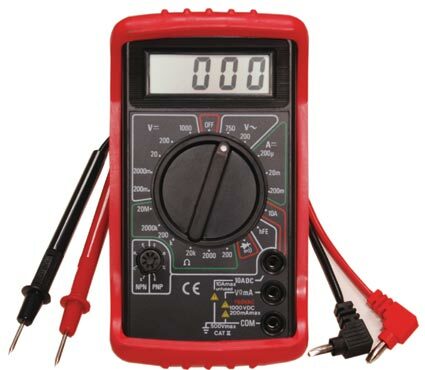 Its capabilities are equal to many higher priced multimeters. Comes with test leads, protective holster, instructions and installed 9 volt battery.